These are supplied printed with our design and the text as shown. 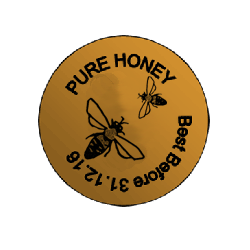 If you are selling your honey then there are some labelling regulations to consider. We have taken care of some of these regulations already in the design of our labels.